Former hybris Software Senior VP Channel Frank Schoutissen to Expand OneView's Global Partner Network to Provide Global Reach for Industry Leading Customer Engagement Platform. BOSTON, MA -- (Marketwired) -- 09/04/14 -- OneView Commerce, the retail industry's first and only provider of a commerce-driven customer engagement platform that enables seamless, consistent omnichannel operations from web through point of sale, has named 20-year sales and channel veteran Frank Schoutissen Executive Vice President Eco systems & Channels. Making the announcement, OneView CEO Stuart Mitchell said, "Frank's long, consistent track record underscores his expertise in the development and leadership of successful partner programs. He'll be a tremendous asset in leveraging our global market opportunity, expanding our reach through an extensive partner network to help retailers overcome their toughest challenges in delivering a seamless shopping experience across their various channels." For the past seven years, as senior vice president channel for hybris Software, Schoutissen played a key strategic role in its expansion into new markets, including establishing its global channel structure and leading channel development. 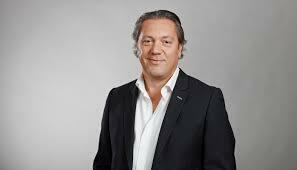 One of hybris' earliest leaders, he built a channel eco system of 500 partners that spanned all continents and grew revenue from $10 million in 2007 to $1.5 billion in 2013. Schoutissen commented about OneView's market opportunity. "I've seen firsthand how the OneView customer engagement platform drives a single view of customers, products, pricing, and promotions from web to store, and effectively delivers one consistent experience for customers across all retail channels. The right partners will ignite explosive growth of this elite omnichannel retailing technology." Prior to hybris, Schoutissen led Sybase (now SAP) sales in The Netherlands, increasing revenue by more than 125 percent. He previously was EMEA channel director for Information Builders, managing partners and system integrators, and channel expansion in 11 countries to increase indirect sales revenue by 75 percent. As one of the first EMEA employees for TopTier software, he built the channel organization from ground zero to a mature organization. TopTier was sold in 2001 to SAP. OneView Commerce delivers the first commerce-driven customer engagement platform that merges the digital and physical store experiences from web through point of sale. OneView Commerce Store mobile commerce framework provides associates with the ability to combine standard functions, such as mobile checkout, with end-to-end cross-channel solutions that empower continuous engagement from web to store and vice versa. OneView delivers a single view of the end-to-end customer journey including order history, products purchased, wish lists, appointments, and detailed information on pickups or returns combined in one solution along with all standard POS functionality. By eliminating channel barriers between web and store that impact the customer experience across the brand, OneView transforms in-store interactions into customer-centric engagement experiences and empowers store associates to service continuously connected consumers at every turn. E-Plus Gruppe, O'Reilly Auto Parts, Canadian Tire Corporation, J.R. Simplot, and Discount Tire are among the retailers revolutionizing their operations worldwide with OneView. www.oneviewcommerce.com, Twitter: @oneviewcommerce.